The Russians have been engaging in GPS signal manipulation for some time now. The Norwegians have been complaining about it in northern Norway. I suspect that in this case it is part of security measures, which may say a lot about how safe Putin feels. This book covers the British army efforts in the ill-fated but endlessly fascinating Norwegian campaign. The author has a special knowledge of the subject as he was a participant as a member of the Sherwood Foresters battalion and was deployed to Norway during April and May of 1940. While the invasion of Norway is often times referred to as the first Air-Land-Sea combined arms operation in history, this book’s focus is just on the British Army efforts in Norway. It does cover allied army efforts (French, Polish and Norwegian) insofar as they were connected to the British efforts. The book also touches on the naval and air efforts of the allies from time to time but by no means presents the complete history of those efforts. The book also only lightly touches on the political and strategic issues which led up to Norway being involuntarily dragged into a conflict she wanted no part of and tried hard to avoid. As much of the political story doesn’t reflect well on the leaders of the United Kingdom, it is understandable that a British author might not want to dwell upon this area. 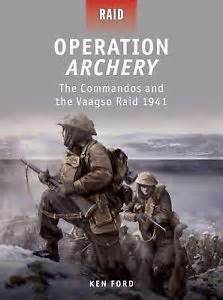 As with all coverage of the Norwegian campaign, the author is faced with the challenge of how to tell the story of operations in three divergent and only slightly connected areas (Navrik, Bodo, and Central Norway). Different books take different approaches to this problem. This author has chosen to tell the story by operational area rather than strictly chronologically. The author resolves any confusion this creates by periodically reminding the reader what was occurring in other operational areas at the time where necessary. The details of the story of the British efforts in Norway are compelling and frustrating at the same time. It’s the story of bravery and incompetence and reaction rather than action. At the time of the German invasion the British were prepared to move in a number of army units to “peacefully” occupy parts of Norway. Yet, when the Germans struck, the British dithered and their half-hearted response came more than a week after the Germans had invaded, giving the Axis forces time to gain their balance and consolidate their hold on the initial invasion areas. The Brits committed troops piecemeal and never in a concentration sufficient to achieve their aims. In many cases, the upper echelons of command had no clear idea of what their aims even were. As always in war, the troops were the ones to suffer. They arrived in theatre without supporting equipment such as tanks, radios, sufficient anti-aircraft and regular artillery. In the face of the overwhelming air superiority of the enemy, these deficiencies doomed the British efforts to failure even before they began; Thus, the title of this book. While not strictly a book related to modeling, the stories are sure to provide some inspiration and could well lead a modeler to build a model or two from Operation Weserübung. For modelers with an interest in the Norwegian campaign of WWII (such as me), this kit will be most welcome. This book, as the title suggests, covers the campaign in Norway in April and May of 1940. Given that the author is an RAF officer, it has a particularly British view on the events of this campaign. 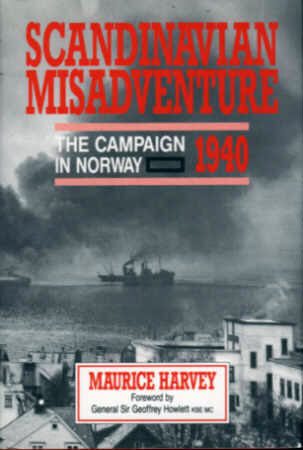 The book does an adequate job describing the events of the 1940 campaign in Norway. However, it tends to put more blame for the failures of the campaign on the Norwegians than they rightly deserve, though they certainly were woefully prepared for the German onslaught. It also completely glosses over the fact that the Norwegians lost their country in no small part due to the fact that the British goaded the Germans into invading, even though the British realized they had no realistic hope of helping defend the bottom two-thirds of the country, where most of the population resided. The German invasion plan was audacious, and was as successful as it was mainly due to failures by the vaunted British navy. The subsequent British and French response was lackluster and confused, despite the fact that the Allies had been planning on inserting troops into Norway ever since the second week of September 1939. Like most books on this campaign, this book shifts focus back and forth between the events in lower Norway and the events around the port of Narvik in the far upper reaches of the country. The author describes the events of the campaign, but fails to truly capture the disastrous nature of the Allied efforts. “Misadventure” hardly describes it. The book is a good history of the campaign with detailed descriptions of some of the actions involved. Its downfall is its failure to adequately assign responsibility for the failures, particularly those of the armed forces of the United Kingdom. After the British were driven from continental Europe in 1940, Winston Churchill realized that the British Army would not be strong enough to return for years, yet he saw the need for attacks on the continent in order to maintain a credible threat to Germany and to give hope to the occupied countries. Churchill had an obsessive focus on Norway ever sense the outbreak of WWII, with disastrous consequences in the Norwegian campaign of April-May 1940. Now however, Norway made sense as an area where the hit and run raids contemplated by Churchill could be implemented. The raid on Vaagso seems a bit weird at first blush as the target wasn’t a radar, gun emplacement or airfield, but rather the target were several fish oil plants. While fish oil plants don’t seem particularly military, the fish oil was used to make vitamin supplements which U-boat crews needed due to the lack of sunlight exposure. Also the fish oil was used to make glycerin, a vital component of explosives. The town of South Vaagso on Vaagso Island had 4 or 5 fish oil plans. The island was just off the mainland of Norway and was guarded by a small infantry detachment of the Wehrmacht 181st Inf. Div. as well as some naval troops. There were also 6 ancient 10.5cm WWI era German guns on the Island of Maaloy which lay next to the town of South Vaagso and protected its harbor. This book does an excellent job, in its 80 pages of telling the story of the preparation for the raid, the raid itself and its aftermath. It is an exciting tale well worth devoting an hour or two reading the book. In addition to a well told story the book is illustrated with maps which help make the story clear, as well as many photos most taken during the raid as the British sent along combat photographers so they could exploit the propaganda value of the raid. I particularly enjoy small unit action stories. This makes this particular book even more enjoyable. If you enjoy the story, you can also read the old Bantam War Book, The Vaagso Raid by Jospeh H. Devins, Jr. which was first published back in 1968. It makes a nice companion to the Osprey Operation Archery book.